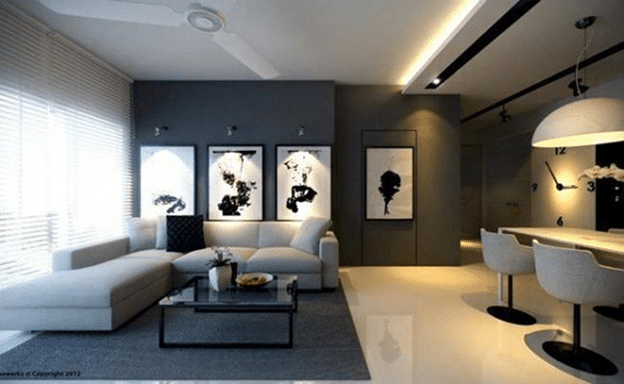 Gray is an amazing substitute if you do not want to add different shades of color to your living room however to keep the area pleasant and cheerful. Decorating with gray can be deep or calm, dark and strong or cheerful and lovely. 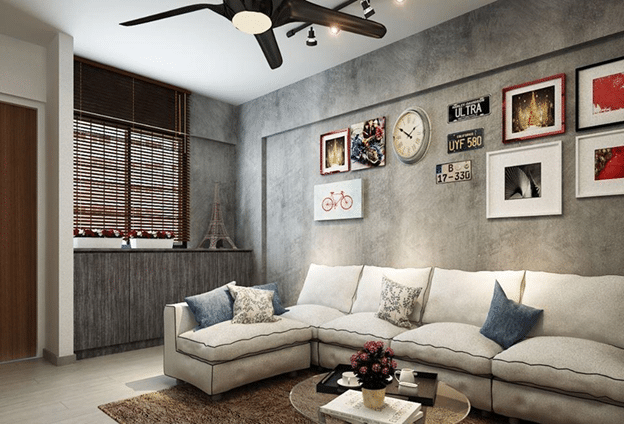 Gray is one of the most hot favorite shade in color palette these days, there are many shades of gray with which you can play when decorating a living room. It’s a difficult color but it can be very lovely when perfectly blend with other colors. Here at Renopedia, we will show you that our interior designer’s sophisticated color scheme plan which makes it easy to mix this neutral shade into your decor. The gray is a flexible color it looks best when mixed with black and white. 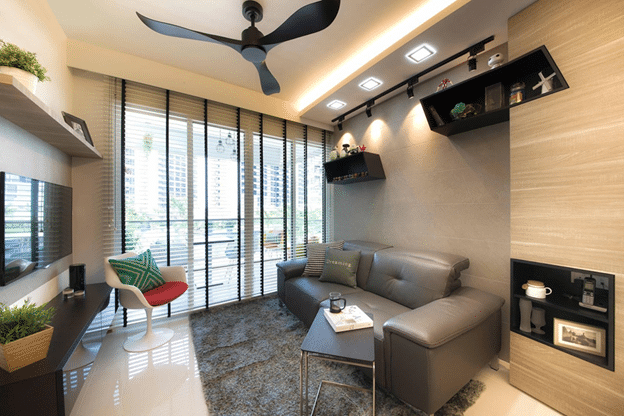 The above room designed by MM Builder N Design Pte Ltd perfectly blend these three colors with black n white sceneries against the gray wall becomes eye catching feature. All gray can be dull so make sure you have a colorful focal point as showed in the above picture designed by Sky Creation. A colorful trendy wall with beautiful artwork complements the room and give an artistic ambiance. Gray is a color that suits both contemporary and old-style décor. 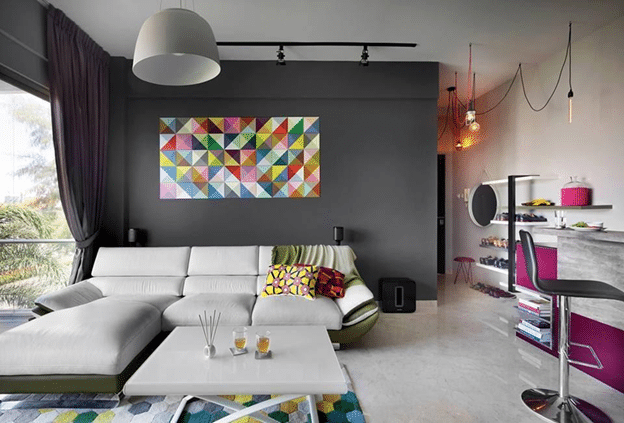 The great blend of bright colors with gray gives a stylish and cool feel to the room. The brilliantly use of colorful rug and colorful cushions gives a boost to the room. It’s a perfect bright gray room designed by Versaform. Add patterns with the color to turn away the dullness in the décor. Gray can help a friendly décor for the living room. Gray sofas and rugs can give a casual and friendly look to living room. 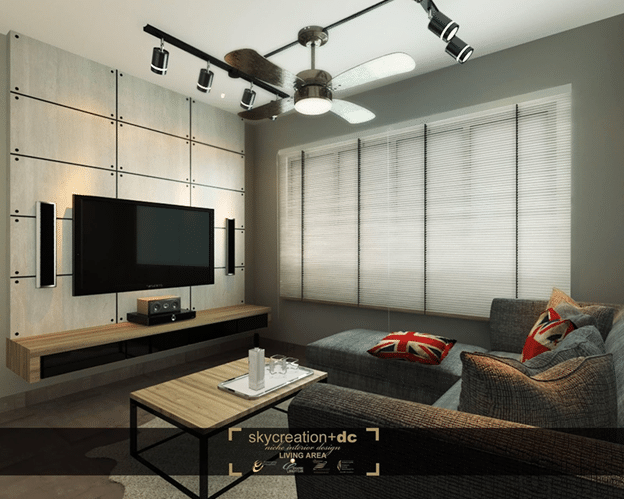 The above picture designed by Sky Creation is a perfect example of a casual room with a great blend of gray, black and a little effect of red in cushions which becomes the focal point in the room.